Yahoo reported a 61 percent drop in quarterly profit yesterday, capping a year in which the online giant lost ground to Google, its biggest rival for online advertising.Yahoo executives acknowledged that the company is trying to find its footing after a year that included a key technology delay, a corporate restructuring and relative weakness against its rivals in the online advertising business. 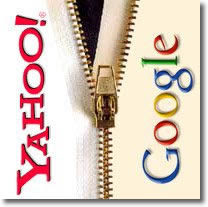 This year, Yahoo and Microsoft hope to make big inroads in their fight against Google, which dominates search-engine advertising and continues to gain market share.Yahoo is pinning hope for a financial comeback on a new search-engine-based advertising system called Panama. Meanwhile, Microsoft has launched its program, adCenter, which allows advertisers to better target ads toward online customers.